If you're wanting to take a fun trip from Phoenix to Grand Canyon, or are currently living in Phoenix, it's a great idea to go and visit the iconic Grand Canyon. There have been simply millions upon millions of people from all over the globe that have gone and visited the amazing Grand Canyon. So, if you're in Phoenix, it will be very beneficial to go ahead and visit the Canyon. There are lots of ways to get to the Grand Canyon from Phoenix, and this article will highlight some of the best ways to get there while providing some interesting information about the Grand Canyon. If you're currently in Phoenix it's very easy to simply drive all the way up to the Canyon. It is only a few hour drive to head up to the Grand Canyon, and during times that are not holidays, it is a relatively traffic free tip to head up the canyon. 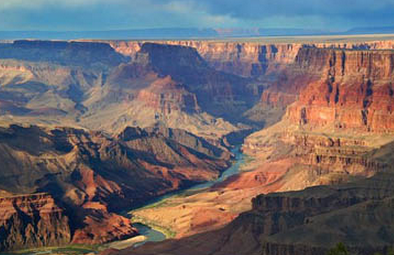 To drive from Phoenix to the South Rim of the Grand Canyon only takes around 3 to 4 hours. On the other hand, if you're looking to head to the North Rim, it will take around 7 to 8 hours from Phoenix to arrive at the destination. Hence, you should schedule the time you leave according to where you wish to go. Another option for the Phoenix to Grand Canyon route is to go on a bus that has been specifically chartered for travel to and from the Canyon. This means that if you don't drive or are looking for a more relaxing travel to the canyon, you can easily enjoy it by utilizing a comfortable bus. This means that if you decide to leave early in the morning, you will be able to enjoy some sleep on the bus and enjoy the Grand Canyon with as much energy as possible. Buses heading towards the Grand Canyon are usually quite cheap in comparison to other possible travel options for the Grand Canyon. Once you have completed the Phoenix to Grand Canyon trip, you'll be ready to go ahead and experience the Grand Canyon for everything that it has to offer. One of the first things you might want to do is to enjoy the vantage point that is located in either the north, east, south or west rim of the Grand Canyon, depending on where you decided to go to. Furthermore, there are lots of choices for fun activities at the Grand Canyon like whitewater rafting. Such things as rafting to hiking, all the way to flying on planes are available at the many areas located across the Canyon. Simply plan ahead to find out what kind of activities seem the most enjoyable to you. And there you have it! This is all you need to know about the Phoenix to Grand Canyon trip that you can make. The Grand Canyon is truly one of the best places to go in the entire world, so if you're in Phoenix it would be a shame not to head up there. Book your exciting Grand Canyon rafting excursion with us today! We have 1.000's of trips to choose from from 16+ outfitters.